THINK TEA IS JUST FOR DRINKING? As the popularity of tea as a beverage has inceased, so has the concept of using tea and tisanes as ingredients when cooking. We’ve been using some culinary creativity in the kitchen recently and have come up with a few delicious recipes using our QT range of tea. Here is our first – it’s definitely a winner! Tulsi (or Holy Basil) is an Indian herb known as “The Elixer of Life”. It’s traditionally been cultivated as a Sacred Plant and has been used for thousands of years for it’s healing/Ayurvedic properties. Tulsi is known as an adaptogen, balancing different processes within the body, and aiding stress and depression. Exact measurements for this recipe aren’t necessary, it’s easy, so just go with the flow, no need to be a master chef! 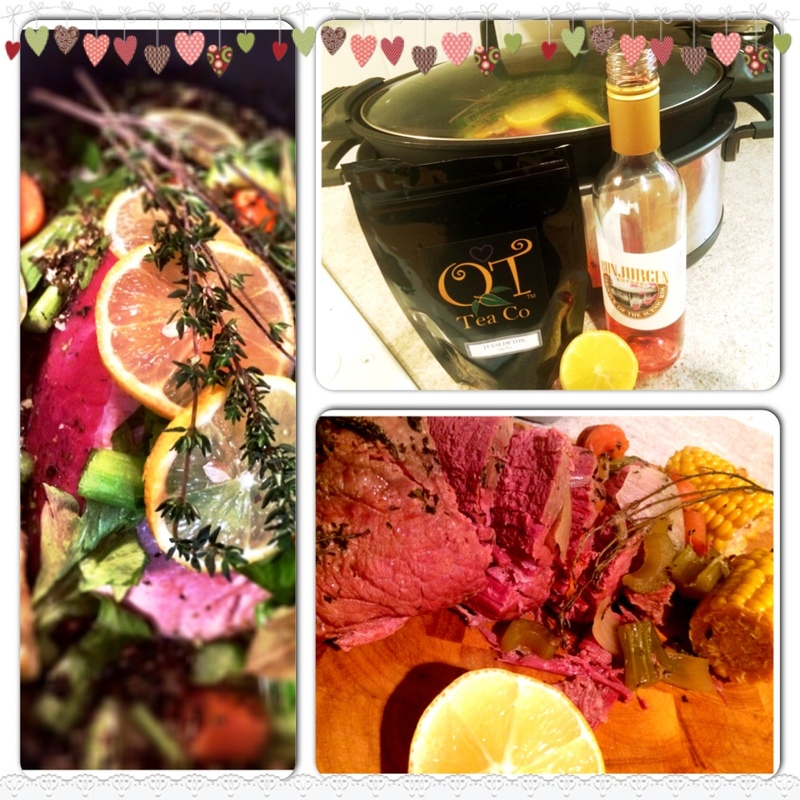 We experimented with a couple of tablespoons of our Tulsi Detox herbal blend & corned silverside in the slow cooker. Add a chopped onion, carrots & celery, brown sugar, a good splash of verjuice, a few bay leaves & sprigs of thyme, slices of lemon, and two cups of water. Slow cook on low for 8 hours and voila! Cooking with tea opens up a whole new world of culinary possibilities and as this recipe shows, it doesn’t need to be difficult or time consuming to be yummy! IS ACTIVATED COCONUT CHARCOAL THE “REAL” NEW BLACK?